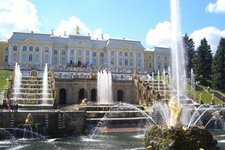 The Fourth Annual RECOMB Conference on Bioinformatics Education (RECOMB-BE) will be held in St. Petersburg, Russia, August 26, 2012. The conference follows the first three RECOMB-BE meetings (2009, 2010 and 2011). RECOMB-BE 2012 will consist of invited presentations, oral presentations selected from submitted educational problems, and discussion panels, all of which focus on improving bioinformatics education. 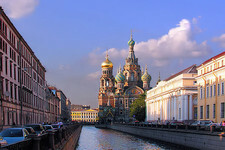 RECOMB-BE will immediately precede the First RECOMB Satellite Conference on Open Problems in Algorithmic Biology (RECOMB-AB), which also will be held in St. Petersburg, August 27-29, 2012. 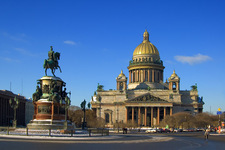 Saint Petersburg (formerly known as Leningrad) is Russia's second largest city. The large historic center of Saint Petersburg, threaded with canals dotted with baroque bridges, is a bridges, is a UNESCO World Heritage site. Its Hermitage Museum, housed in the former palace of the Russian tsars, displays one of the world's greatest collections of art. Chris Lee (University of California, Los Angeles). The goals of RECOMB-BE 2012 are twofold: to showcase best practices of teaching algorithmic bioinformatics and to demonstrate and discuss a novel learning framework (ROSALIND) for students to understand bioinformatics problems through programming within a guided feedback environment. While biology has been transformed into a computational science in the last decade, the biological curriculum remains largely unchanged with respect to computational issues. The question: “How should we teach bioinformatics to biology students?” has become of the utmost importance, as many universities have not only founded undergraduate bioinformatics programs but are considering the addition of new computational courses to the standard biology curriculum—a change that would represent a dramatic paradigm shift in biology education. The usual process of learning bioinformatics requires the solution of computational problems of varying difficulty that are extracted from real challenges of molecular biology. In an attempt to make this learning experience as effective as possible, we have founded ROSALIND, an independent programming and testing environment that will host a resource of self-contained bioinformatics problems. The ROSALIND website will check solutions to these problems automatically and will provide interested students with an intellectually stimulating way to learn the key concepts and algorithms of bioinformatics online. By its innovative approach, ROSALIND also promises to facilitate improvements in standard bioinformatics education by providing a vital teaching aid. ROSALIND is inspired by Project Euler, Google Code Jam contests, and free online courses from Stanford University. The project's name commemorates Rosalind Franklin, whose X-ray crystallography facilitated the discovery of the double helix by Watson and Crick. We hope that ROSALIND will inspire a new generation of bioinformatics students, including biologists who want to develop vital programming skills at their own pace in a unique environment, and also programmers who have never been exposed to the intriguing computational problems generated by molecular biology. The participants of previous RECOMB-BE meetings formed the Bioinformatics Education Alliance, a group of sixteen leading bioinformaticians who have recently collaborated to produce a textbook, called Bioinformatics for Biologists (B4B). The first edition of B4B was published by Cambridge University Press in 2011. B4B is an open project that will be continuously expanded by new chapters. Therefore, RECOMB-BE invites submissions of proposals for new chapters; accepted chapters will be included in the second edition of B4B. We invite submissions in two areas: Bioinformatics Education Problems and Bioinformatics for Biologists Chapter Proposals. 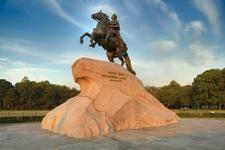 RECOMB-BE is supported by the Howard Hughes Medical Institute (HHMI), the International Society for Computational Biology (ISCB) and the Ministry of Education and Science of the Russian Federation. The RECOMB International Conference on Research in Computational Molecular Biology was founded in 1997 to provide a scientific forum for theoretical advances in computational biology and their applications in molecular biology and medicine. The conference arose from the need to advance research on the mathematical and computational side of molecular biology. The 16th Annual RECOMB conference (RECOMB 2012) will be held April 21-24, 2012 in Barcelona, Spain. The RECOMB Satellites Series was founded by Pavel Pevzner in 2001. Today, it consists of eight focused meetings covering various specialized aspects of bioinformatics: RECOMB Comparative Genomics, RECOMB Regulatory Genomics, RECOMB Computational Cancer Biology, RECOMB Computational Proteomics, RECOMB Systems Biology, RECOMB Massively Parallel Sequencing, RECOMB Algorithmic Biology, and of course RECOMB Bioinformatics Education.